The management should keep an eye upon the employees and their needs, wants and facilities. Basic facilities if provided within the office arena will create a homely environment which will make the employees work steadily. Employees are key to the organization. If they are happy and satisfied with the work culture, they will communicate that satisfaction to whosoever clients they deal with. When the approach towards clients will be better, the business growth will boost up automatically. Hiring employees who are a differentiator. Who are fit for the job and have the ability to take your organization to the next level. Recruit people who are young, energetic and positive in their approach to work. People with this attitude are easily recognized by the first look of smile on their faces. Candidates who exhibit the passion of work within them and who has the self-motivational formulas with them can create your work place in a very organized and useful way. Being a manager, you should decide the kind of hierarchy you want to have with your colleagues and employees. Defining a hierarchy avoid ill treatment and ill feelings for subordinates. People are quitting corporate world due to ill treatment from the superiors as well as subordinates. Because of dysfunctional hierarchy, efficient candidates have been demotivated and their work environment has been spoiled of late. Share your organizational and financial goals with your employees whether good or bad. Engage weekly meetings with all your employees and discuss the week’s work and do regular follow ups for the same. Make lines of communication open so that employees will feel more engaged and will take part in the success of the business. Every employee will want to know and would appreciate and like if he is informed directly about what is going on in his company. When a boss appreciates his employees, the effect it creates reflects directly on the productivity of the business. You should give recognition whenever it is required. Rewarding and acknowledging their work style frequently energizes the employees. They start working for achieving that appreciation from top level authorities. This appreciation works even better than promotions. In the right time and with the right patience, it is very necessary to update the company’s work culture. If you watch out that your culture is not where it should be, then go for a complete change. It’s true that it requires dedication and hard work in the beginning but it will pay off after some time. In the process, you may need to terminate some bad apples as well to make your basket clean. You should not hesitate to do so as this will directly affect the organization culture. 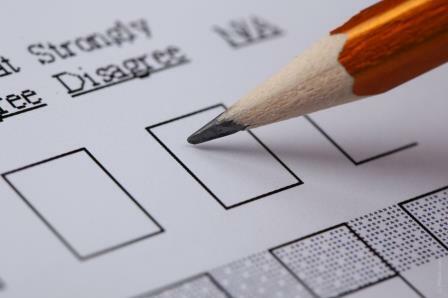 Encourage employee to employer feedback. When employees are given an option to appraise and analyze the work process, they do their best to display the pros and cons as they understand that they are the ones who have to work in that environment. Such constructive feedback of employees should be welcomed to make your business operate at its peak. Meaningful and reflective conversation between employees and the management is the key to effective outcome. Weekly reviews give the management an opportunity to praise the employees for what they have done as well correct them when they are wrong. Moreover, the discussion makes things clear about the vision and growth of the company in future. Competitive advantage in the organization can work wonders for an organization. It can generate huge profits and change the overall profit structure of the company. The better the pay of the employees, the higher the competition in the market. Initially, may be the company has to incur some personnel costs and eat-ups but during the year, it will prove to be highly constructive when the organization will develop more profits. Our actions have direct effect on our surroundings, our subordinates and our colleagues. An office is a place where peace of mind is necessary for you and for others as well. Everyone has problems and everyone is tested today or tomorrow by circumstances which are not in our control. In this situation, patience is the only thing which is expected to prevail. With patience, you can analyze and then react to the corresponding action. When an open communication takes place, it make the employees feel that their thoughts have value. They feel like it is their organization and their ideas are also implemented if useful. Then, their work becomes significant because they know that whatever they work is going to affect them directly. Two way communications breaks down the hurdles between the levels of hierarchy and promotes trust. Daily interaction with subordinates and superiors create a feeling of attending and being present in the office with his entire mind. Balance in work life and personal life is very necessary to maintain positivity in your mind. Having that balance will create job satisfaction because they will feel that they are using only required powers in the required places. Employees gain confidence at work place even when they fulfill the needs of their family, friends or any self growth achievement and with this confidence, they perform better. They get to be exposed more into the outside world. In today’s world, change is more rampant that yesterday. It is necessary to keep abreast with the changes and provide training and development programs for the employees. Install new features in your system so that employees instigate some excitement to work in a different culture. A positive work environment shall be created by having routine training, updating and instilling positive feeling among the employees. Social beings need peer support and long to belong to a group. A sense of unity is evoked when the team comes out and deals with the problem themselves. Employees will feel that now they are working for something bigger than themselves, something which they could not have done alone. Strong team spirit encourages tolerance among team members and their perspectives and working style. At the times of long stretchy working hours, give the employees some refreshments or some breaks so that they can start afresh after few minutes. A few minutes break proposal from a boss’s side helps a lot to boost up the morale of the employees and also help him complete work even faster. Work environment includes superiors and subordinates, organization culture, room for personal development. An employee needs to come from his home to his work place and needs to sustain himself throughout the day in this work place. So, it is very essential to give the work culture a positive aura so that the work does not suffer. 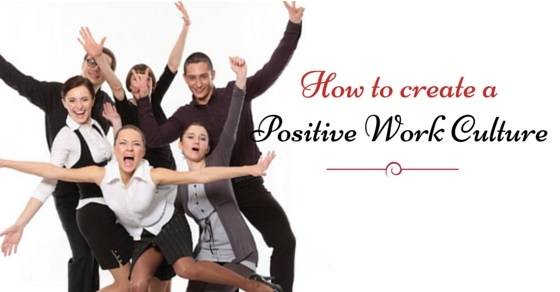 Positivity at work reflects positivity in all aspects of the organization and will make it run smoothly and keep the employees happy. Next article12 Different Types of Interview Styles – How to Prepare for All?